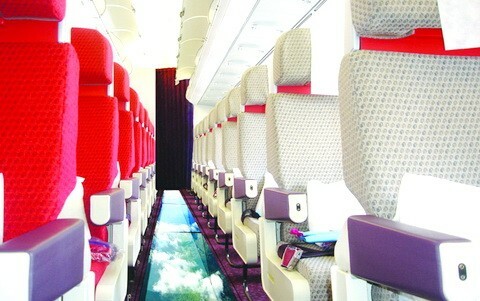 Would You Fly In A Glass-Bottomed Plane? 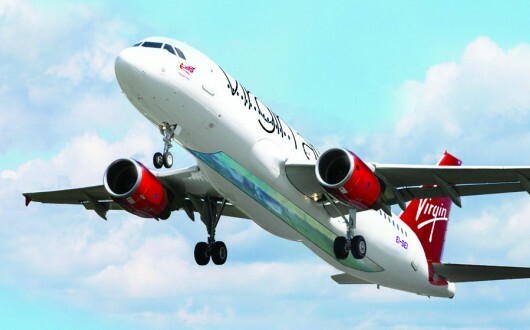 I have copied those pictures from a 2013 Virgin Atlantic post – an announcement releasing the first ever glass-bottom Airbus A320 flying domestically within the UK. I don’t often fly, and it’s only been over the last few years that I have started to (almost) enjoy flying. And when I say ‘enjoy’ I mean ‘not grip the armrests for dear life on take off’. So you can understand my apprehension at being able to see the tarmac fall away under you as you jet 35,000 feet or so into the thin air. As I thought about this over the next few minutes, the more I realised that I probably would go on that plane. But there is no way in hell I would be getting up to walk down the aisle. That would just be terrifying. But a short, no need to stand up, flight? Yeah why not. By this point in my thought process I had truly convinced myself that this was a grand innovation in air travel, and someday I would travel in it. However, I decided to do a little more research into this to see when this masterstroke would be in the skies. So you can understand my dismay when I found out it was a Virgin Atlantic April Fools joke. Initial thoughts…how could you do this to me Richard?! Clearly I was more on board (get it?) with this idea than I had realised, because I was sufficiently devastated. I had lived with this idea for no more than fifteen minutes, and my trust in the Internet was completey crushed (because clearly you should believe anything you read on the internet as a totally factual account of everything, ever, especially on April 1st). I think I was more upset about this fake glass bottomed plane than when I read that study saying both Jack and Rose could’ve actually fitted on the driftwood. I could practically hear Celine singing in the background, as tears rolled down my cheeks. Okay there weren’t any tears, I do have a life. But of course I realise now that logistically it wouldn’t work. Where would you put the luggage hull etc etc. But the idea of it makes you think doesn’t it? What could be next? A completely ‘glass’ aeroplane, like the elevator in Charlie and the Chocolate Factory? Wow, that would be insane. Even Willy Wonka wouldn’t be booking that flight I don’t think. What was that Bruce Wayne quote, the people deserve the truth? Or was that Alfred? Anyway, I’ve decided to come clean. No one would ever know (unless I write an entire post about it). No one looks at who likes what anyway. I could just…leave it there. The worst part was it came up in my notifications and everything, “Write and Day liked your post”. Oh the shame. It was like a permanent thing, as if it couldn’t be undone even if it was. That notification wasn’t going anywhere whether I unchecked or not. Just as a constant reminder of my mistake. I’m not an expert on blogging etiquette, but if liking your own posts is anything like real life, I think I gave myself a virtual high five. But you know what? I’m not ashamed of it. Not to say I am going to start liking all of my own posts but you know, I accidentally liked one of my own posts and I’m going to roll with that. Make lemonade from lemons as they say. So exile me from the blogosphere but that bad boy is staying liked. It is what it is, and I am whatever Gotham needs me to be. Okay, that last bit was Bruce again. I was scrolling through my WordPress reader today and just happened to stumble across the Daily Prompt. Now, I’m usually not too intrigued by the Daily Prompt but this one really got me thinking. What skills would you love to learn? So after a great deal of um-ing and ah-ing I finally came up with an answer. If I was to learn a new skill, it would have to be something to make me look a bit more, ahem, badass. To be honest the only real skill I possess right now is being able to solve a Rubik’s cube 50% 80% of the time. Not a really useful skill (is that even classified as a skill?) and is definitely not adding to my overall badassery. I think one skill that would be really cool to learn is being a spy. 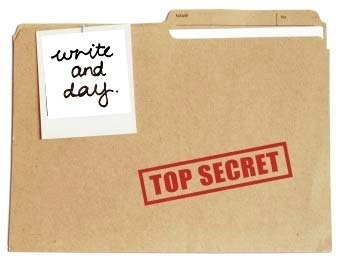 A top secret, classified information, talk-into-a-shoe-phone kind of spy. Then again, for an average, everyday blogger like me, having a spy-like skill set isn’t really useful either considering I have nothing to spy on. But if you think about it, just the fact that you are a spy, without the actual spying, is still pretty cool in anyones books. Not that anyone would know you are a spy, because if they did then you wouldn’t really be a spy…would you? Maybe I just should’ve stuck with learning to change a tyre…to my Astin Martin DB5. This post will self-destruct in five seconds. You are walking down a busy street, minding your own business. When out of the corner of your eye you spot someone looking happy, excited and waving at you. So you smile, thinking to yourself, “How do I know this person? They look kind of familiar I suppose, or are they just waving at someone else?”. 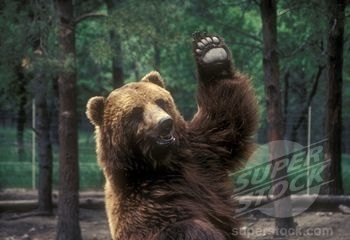 So you make a decision and you stop and wave back, perhaps you even throw in a nice ‘hey!’. Before the unthinkable happens, they sort of look at you a bit strangely, walk past and hug that other excited person waving behind you, who they clearly know well. Cue Earth-opening-up-and-swallowing-you-whole feeling. We all bounce back from this in different ways. There’s the “Pretend you weren’t waving, and brush your hair aside” tactic. Or the “Keep waving and walk away as if you spotted someone else” tactic. Or even the “No, I wasn’t waving at you, I was swatting a fly away from my face” strategy. However, I think the tactic most of us manage is the “Slowly putting hand down, lowering eye-contact and subtly accepting that you were completely wrong and are now completely embarrassed” tactic. You are walking down a busy street, about to meet up with a friend. When out of the corner of your eye you spot them and start happily waving as you approach. They wave back, before someone just in front of your friend starts smiling, and waving at you too. They might even throw in a nice ‘hey!’. So, you continue smiling, thinking to yourself, “How do I know this person? They look kind of familiar I suppose, or did they just wave back because they thought I waved at them?”. As you get closer, you make a decision and you pretend you didn’t see them and walk past oblivious before greeting your actual friend. I think we can all establish that it’s just an all together unpleasant experience…and also absolutely hilarious upon hindsight. What follows is a list of those things you know you do in your daily life, but you didn’t realise that everyone else actually does them too (usually without admitting it). Coincidentally having someone drive behind you for a really long time because you happen to be going the same way, and thinking that they are a stalker. We all know those moments in life where you are just going about your own business, not really too focused on anything, and suddenly you realise something. Something that seems like such a common truth to you, and you are bizarrely surprised you hadn’t realised this thing before. Most of the time it’s such a sudden realisation that you are stopped in your tracks, just pondering that thought for a moment. Now, I apologise to the dictionary but I’m going to have to stick with the Oprah definition of this sensation. Mainly, well, because it’s Oprah (I’ve decided that needs no further explanation). 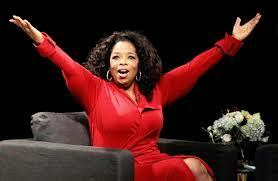 Most of the time these ‘Aha Moments’ are realising something very spiritual, an ‘awakening’ as Oprah describes it. A sense of getting in touch with your soul, and realising something about yourself that you already knew deep down but can now accept whole-heartedly. I had one of these moments recently. My ‘Aha Moment’ struck me like a ton of bricks too. I was just sitting around, not doing much, and it just hit me. Looking back on it now, I probably could’ve realised this a little earlier (as I sit looking at the ‘Grease’ record hanging on the wall). Sometimes you just have to look at the man in the mirror and think ‘how will I know if I keep suppressing this ‘Aha Moment’ time after time?”. The truth is, I find myself listening to the 80’s classics nine to five and all night long. It even tends to wake me up (before you go-go). Sometimes I blame it on the rain but deep down I know it’s the eternal flame of 80’s love that I have. I just hear those 80’s beats and start to (flash)dance, often I also wanna dance with somebody but the only person who will join in is Jessie’s girl. Alright, alright, I’m finished now. So yes there you go, I love 80’s music. But before I truly finish I just want to leave you all knowing that I’ve had the time of my life. You knew it was coming, surely. So, which three items would I take with me to the deserted island? Books – I’d have to go with the classics: Dickens, Austen, oh and a ‘Raft Building 101’ wouldn’t go astray either. Water – I assume that my grand escape somewhere includes floating on a raft to civilisation, so fresh water is a must. Rope – Definitely a necessity in the raft building department. Rope – Also a necessity in the home building department. Mirror – No, not to check my hairdo, although that is a handy bonus. Starting fires was the main idea (I decided against matches because they eventually run out, but a mirror against the sun never stops working).